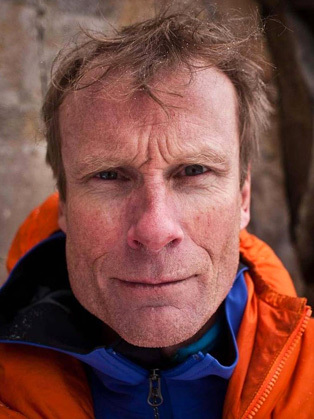 Conrad Anker is one of the world’s most notorious alpinists with a legacy defined by climbing the most technically challenging terrain on earth. Conrad became internationally renown in 1999 after his discovery of famed alpinist George Mallory: the preeminent Everest explorer of the 1920s. He has journeyed from the northern realms of Alaska and Baffin Island to the farthest southern reaches of Patagonia and Antarctica and has lay claim to the much coveted first ascent of the Shark’s Fin on Meru. As captain of The North Face Athlete Team, Conrad urges climbers to be boots on the ground in observing the changes wrought by man-made climate change. He is also civically active in his home state of Montana, serving on the boards of the Montana State University Leadership Institute, Protect Our Winters, Bozeman Ice Tower Foundation, Gallatin County Fair Board and the Alex Lowe Charitable Foundation.